Because of the economic and cultural importance of wild rice in Minnesota, the state has taken a leadership role in evaluating the cost of controlling the release of sulfate into the environment. This study consisted two activities/phases. The first activity reviewed commercially available full-scale technologies to determine which technologies are acceptable for implementation in a municipal wastewater treatment setting. The second activity addressed the implementation concerns and cost of the two highest ranking technologies: reverse osmosis and nano-filtration. Proposed treatment trains for implementation of the various flow and water quality combinations of interest will be presented, along with a state-of-the-industry review of concentrate management and disposal options. The simplest systems are single-pass membrane systems with concentrate management. The complex system includes further treatment for concentrate volume minimization. Several concentrate volume minimization treatment processes were evaluated. We provide an overview of concerns associated with implementing these technologies with new construction, existing wastewater treatment with conventional trickling filter, conventional activated sludge, biological nutrient removal, and pond systems. Issues considered include 1) institutional and operation capacity as a function of process and system size and 2) the impact of the effluent water quality produced by the various biological treatment technologies on membrane system maintenance cost. Herman Dharmarajah, Ph.D, P.E, BCEE, Senior Principal, Bolton & Menk Inc.
Dr. Dharmarajah has more than 40 years experience in water and wastewater industry ranging from feasibility studies, master planning and detailed design of water and watewater treatment facilities. He is a Senior Principal Engineer/Director at Bolton & Menk Inc. Dr. Dharmarajah provides innovation and education on environmental engineering projects for his clients. He was the process engineer for the first reverse osmosis (R.O.) water treatment facility in the State of Minnesota.Herman is experienced with the management, design, and construction of water and wastewater treatment facilities, performing these projects since 1976.He also supervises and provides technical assistance to staff design engineers, drafting personnel, and construction management staff. Herman has conducted numerous pilot tests for various systems to reduce the level of contaminants in their water. 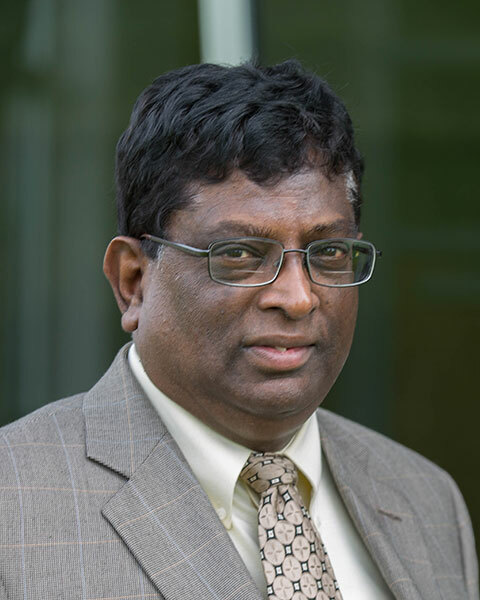 Bio: Herman Dharmarajah, Ph.D, P.E, BCEE, Senior Principal, Bolton & Menk Inc. Dr. Dharmarajah has more than 40 years experience in water and wastewater industry ranging from feasibility studies, master planning and detailed design of water and watewater treatment facilities. He is a Senior Principal Engineer/Director at Bolton & Menk Inc. Dr. Dharmarajah provides innovation and education on environmental engineering projects for his clients. He was the process engineer for the first reverse osmosis (R.O.) water treatment facility in the State of Minnesota.Herman is experienced with the management, design, and construction of water and wastewater treatment facilities, performing these projects since 1976.He also supervises and provides technical assistance to staff design engineers, drafting personnel, and construction management staff. Herman has conducted numerous pilot tests for various systems to reduce the level of contaminants in their water.